Recently, my family tried out El Pollo Loco in Lehi. I was really impressed! It had a fast-food atmosphere, but the food was definitely higher quality than other fast food mexican restaurants I have tried. It was easy to bring the whole family with plenty of seating and high chairs for our little one. You can see the people who work there cooking the chicken right behind the counter! We tried the Poblano burrito, and the chicken carnitas bowl. I loved the bowl, and my husband loved the burrito. We also got a side of sweet potato fries to share. They also had a salsa bar which was really fun. They did have kids meals available, but we decided to get Lily a side of macaroni and cheese instead. She loved it. 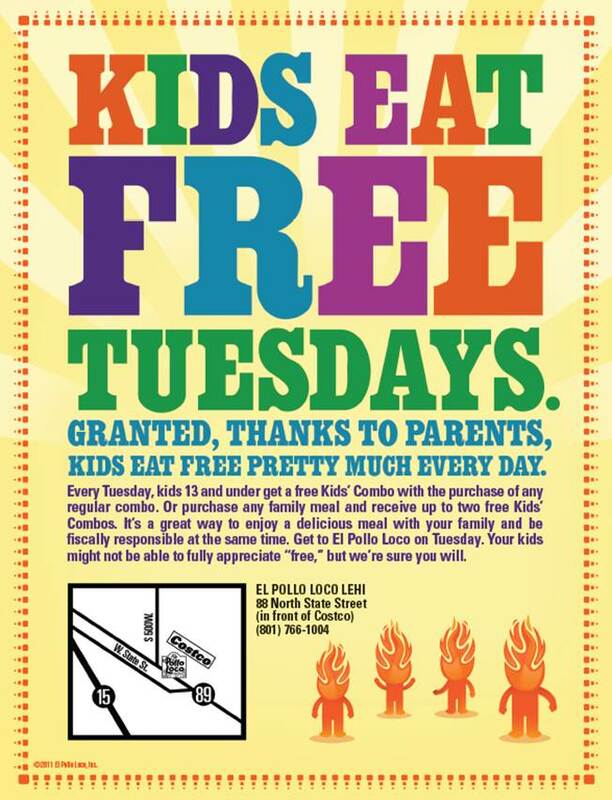 We should have gone on a Tuesday because kids eat free!!! We loved El Pollo Loco in Lehi and will definitely go back soon! 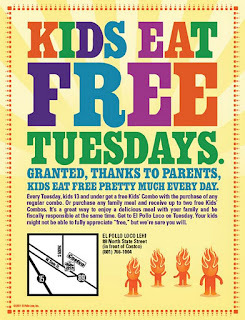 Do you want to win a complimentary burrito and chicken carnitas just like we tried? El Pollo Loco has offered to sponsor a giveaway for 5 lucky readers! This giveaway is for locals only - within a reasonable distance from this restaurant in Lehi. Each prize package is for use only at the Lehi location. CONGRATS TO EMILY, CHARITY, ALLISON, SHANNA, and ROSE WHO WON THIS GIVEAWAY! The Calfresco looks good to me! I loke you on FB. And I posted about this on fb. Whoops! forgot to put which burrito we would like...SPicy chipotle please! We leave near Pollo Loco and love it! the kidlets loooove the black beans! email subscriber. hope i win! I would either try the Poblano or the Califresco. Yummy, I want to try the califresca! I like UCM on Facebook. Poblano sounds good to me! I would try the Poblano. I think the traditional looks best. I've never tried El Pollo Loco- the Califresco burrito looks delicious. Thanks for the fun giveaway! Give me some of the good ol Cali El Pollo Loco goodness! I need to eat at the crazy chicken! I think I would like the poblano. I'm a follower. I'd like to try the poblano burrito. I would try the pablano.